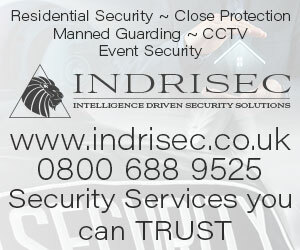 Welcome to the UK Security Directory. Please find listed below the terms and conditions of our services. The UK Security Directory is not responsible for the content of external Links displayed on this website. Although the links are checked for suitability it is possible that some websites and their owners may change the content to something unsuitable. By clicking on the links on this website you agree you do so at your own risk. In accordance with the UK Data Protection Act, UK Security Directory guarantees that your personal information will never be disclosed, sold, rented or licensed to any external organisation. UK Security Directory may use your personal information to customise the services it offers to you and to send information concerning products and services, which you may find of interest. By submitting any content to UK Security Directory, you confirm that all the content you provide is based on true facts and diligent research to the best of your knowledge. You confirm that you sending us such content for publication will not violate or infringe the rights of any third person or party, including but not limited to, rights in copyrights, patents, trademarks, service marks, trade secrets or other proprietary rights. You also represent and understand that you will not receive any form of compensation from UK Security Directory for the content you are submitting. UK Security Directory reserves the right to publish, edit, or not publish any content received in any format. All fees must be paid in full and are subject to change without prior notice. We will NOT increase your fees once you have paid for an advertisement period with us. If we do increase our fees before the end of your advertisement period then your fee will stay the same until you come to renew your advert, whereby you will be charged the current rate. UK Security Directory reserves the right to terminate your contract at any point should you breach these terms and conditions without prior notice. Fees are non refundable. Basic listings do not come with a link to your website. You are NOT allowed to include a link in your description. To Include a link to your business website you must upgrade to a Silver Listings. Any website links or addresses found inside company descriptions will be removed. Your listing can be upgraded at any time. By using this website you confirm that you have read and agree to the terms and conditions of it’s use.